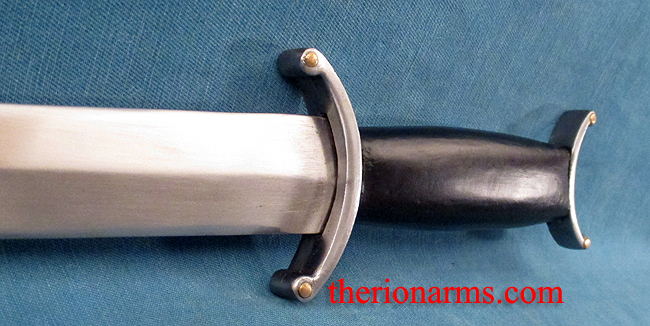 This dagger replicates an English example housed in the Royal Armouries. It features a tempered 1070 high-carbon steel blade, mild steel fittings with brass accents, a wood grip, and a leather suspension sheath. The curved guard and pommel make for a firm, secure grip.